Aus Organic Feeds are pleased to announce the launch of the first Certified Organic Horse and Pony pellet – this is a 3mm pellet designed to be fed to general leisure horses and ponies in light to medium work. 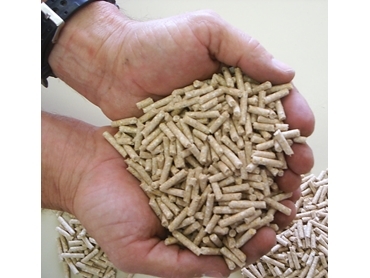 As this Organic Horse and Pony pellet is manufactured in a certified organic facility, there is no risk of contamination from non-protein nitrogen sources such as urea or ionophores nor does it contain artificial sweeteners or antibiotics. Ingredients are restricted to wholesome organic grains such as wheat and wheat bran, barley and maize, as well as natural trace mineral and vitamins to ensure a balanced diet. The Organic Horse and Pony pellet should be fed at a rate of about 1 to 4 kg per head per day depending on the level of work and the size of the horse. As it is grain based it should be fed with care in conjunction with a medium to good quality forage source. Minimum forage intake should 1.0% to 1.5% of body weight. If feeding over 2kg per head per day then split the feeding over 2 or more feeds. If feeding Organic Horse and Pony pellets at the higher feed rates, feed the forage at the higher rates as well. Err on the side of caution when feeding any grain based pellet and introduce slowly. While this pellet is not suitable for commercial horses in professional racing or performance horses, Ausorganics can formulate diets for breeding mares, foals etc. The Organic Horse and Pony pellet does not contain restricted animal material. Organic Horse & Pony Pellets will be available in 10kg and 25kg bags.